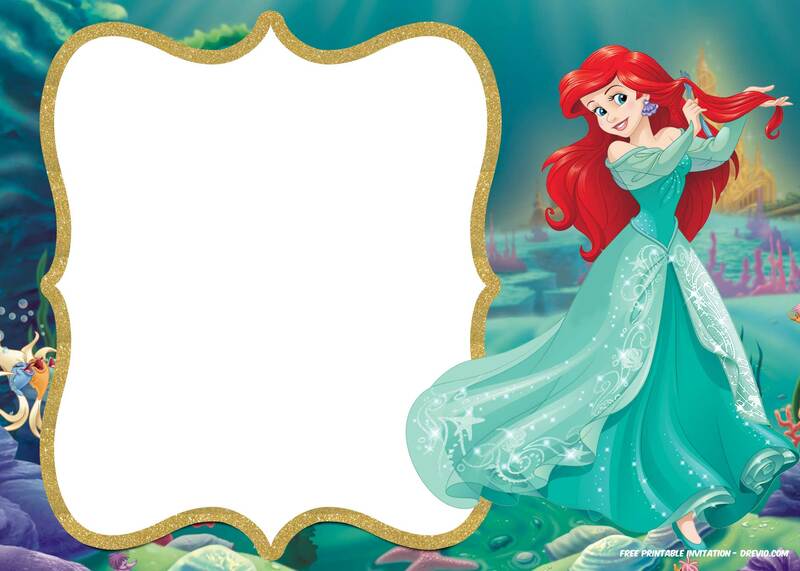 Today, Ariel will dress in Royal template. 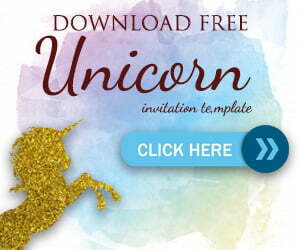 Come with gold-glittering form, you can simply download and fill the invitation with your pen or a marker. 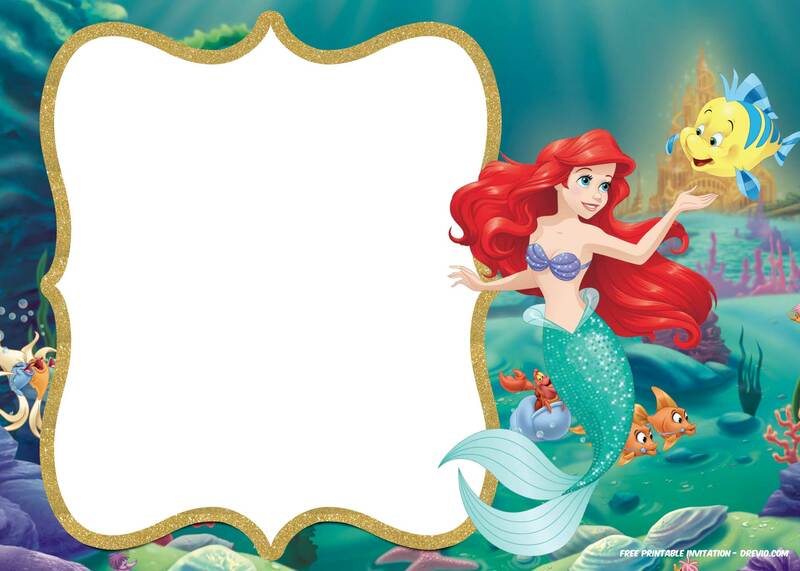 Write down your party details like time, date and location of your mermaid theme party. Don’t forget to add RSVP. 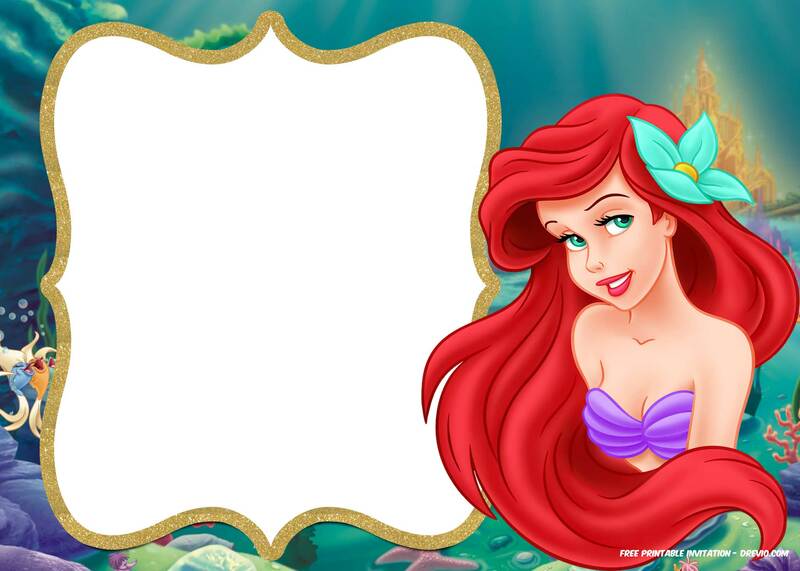 Here are all Royal Little Mermaid invitation template. 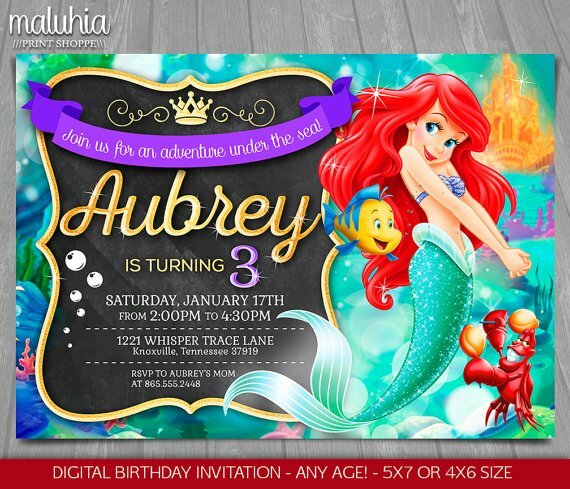 Simply click on your desired invitation, Save the image as and you can start customize the invitation. If you’re able to operate Photoshop, you can add photo and fancy text on it! 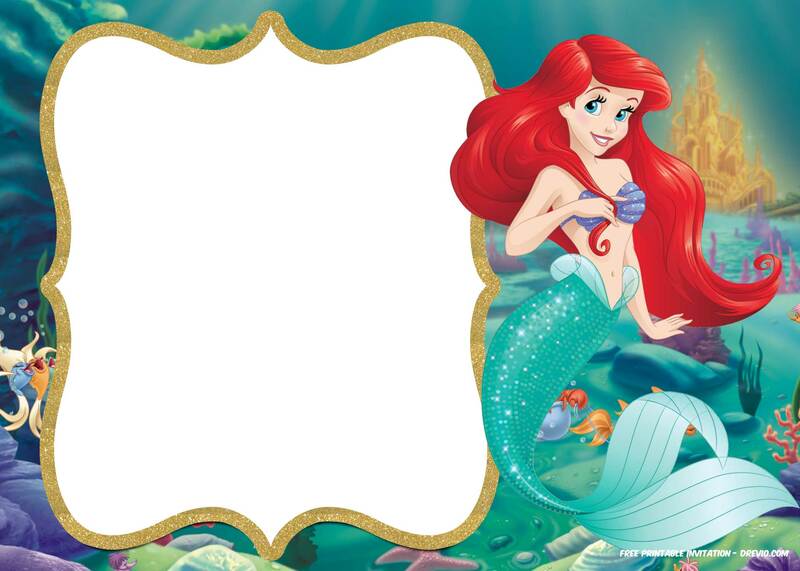 Here’s some preview that inspire us to design Ariel Little Mermaid invitation. You can fill it like below. Adult Birthday Invitations Template – for 50th years old and up!